Michael McFadyen's Scuba Diving - Bare Island History Lieutenant James Cook, Royal Navy, Commander of His Majesty's Bark Endeavour entered Botany Bay on 29 April 1770. 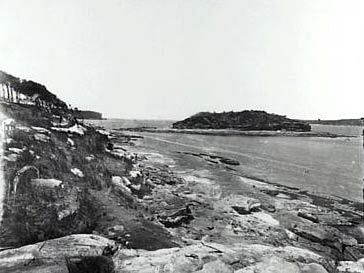 He anchored off the southern shore at what is now called Kurnell. Cook and his crew, including the famous scientist Sir Joseph Banks, explored the area of the bay and first named it Stingray Harbour because of the large number of rays they caught here. Cook and his crew stayed eight days and then headed north. He later renamed it Botany Bay due to the vast array of new flora and fauna that Banks and his assistant, Solander, found here. 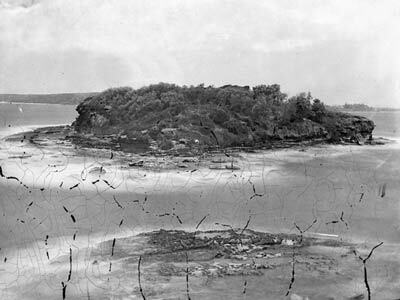 ... a small bare Island which lies close under the north shore. This is now known as Bare Island. The island has certainly changed since those tranquil days. In the 1870s the authorities of New South Wales had the view that the Russians were likely to invade Australia. Therefore, in 1877 two British fortification experts, Sir Peter Scratchley and William Jervois were sent to Australia as a result of a request from the Colony of New South Wales. They were given the task of designing and co-ordinating the defence of Sydney and they planned a series of forts and gun batteries to protect against attack. Bare Island was planned as the sole defence of Botany Bay. The fortifications on the island were built during the period 1881 to 1889 under the direction of the Colonial Architect, James Barnet. 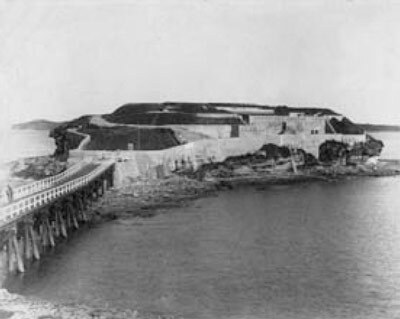 The fort itself was built between June 1881 and June 1884 and four guns were mounted on the island. 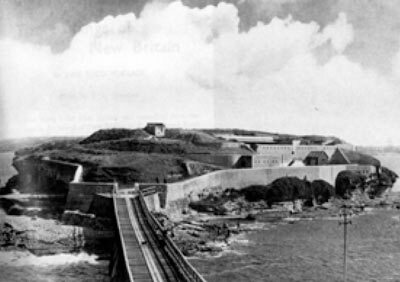 Between late 1883 and May 1884 the iron casemates for the main gun were barged to the island (remember there was no bridge) and in the later month the last concrete was poured, covering the casemate. The fort was complete in 1885. The bridge to the island was built sometime after the fort was completed (why was it not built first?) and was finished in 1887. The barracks were built from 1890 to 1891. It became apparent that the fort and barracks had been subject to substandard workmanship and this led not only to the resignation of James Barnet, it led to a Board of Inquiry and then to Australia's first Royal Commission. In 1901 the island was handed over the new Federal Government. In about 1905 it was used by the Royal Australian Garrison Artillery for gunnery practice. In 1912 the fort and barracks were converted to a war veterans' home, the first in Australia. Some conversion works were done at this time. In 1930 the gun 3 was dismantled and prepared for sale. It was hauled to the start of the bridge but then it was discovered that it was too heavy to carry across the bridge. It lay there from then till the late 1970s or early 1980s when it was moved by the Australian Army engineers back to its original location. 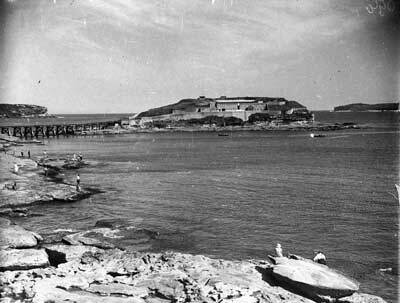 In 1939 the fort was transferred to the Returned Servicemen's League (RSL). The main casemate was converted into a billiard room, the 18 ton gun buried and the opening to the south roofed over. From 1941 till 1945 the island was recommissioned as a gun battery. During this time some war veterans remained living on the island. A pillbox and search-light were installed. After the war, the island again became a full-time home for war veterans. In 1963 the home was closed and all residents relocated. The Randwick Historical Society was granted permissive occupancy by the Department of Lands (my father John McFadyen worked there and this really kicked off my long and close association with Bare Island, even though we had moved just up the road in 1960). In early 1967 my father was part of the team seconded from the Department of Lands to establish the NSW National Parks and Wildlife Service. 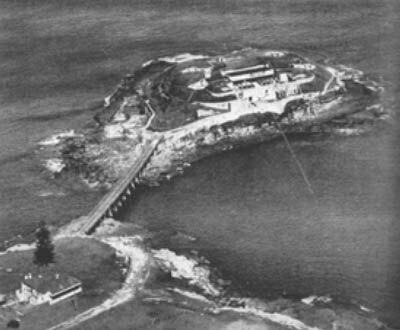 In October 1967 the legislation establishing the Service came into force and Bare Island became Bare Island Historic Site. 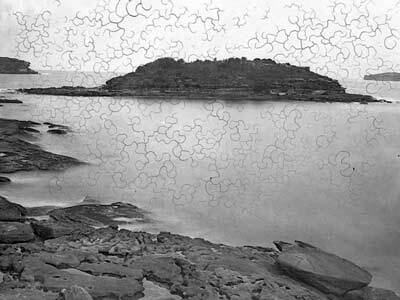 Dad ended up having a very close working relationship with the island from that day on. Many a time we would go down with him on the weekend as he had meetings with Beryl Barker, the ranger. Beryl had worked for the historical society and came over to the Service as a ranger. We had open slather on the island and explored every bit. In December 1975 I started work with the National Parks and Wildlife Service and which in the mid-2000s became what is now called the Department of Environment and Climate Change. The historical society's museum closed in November 1976 due to water leakage. Work was undertaken in 1978 to stop the water leakage but this was not real successful and more work was done in 1985. In 1984 the bridge to the island was repaired and in 1986 it was almost toally replaced (there are piles from that work located on the sand to the west of the bridge). 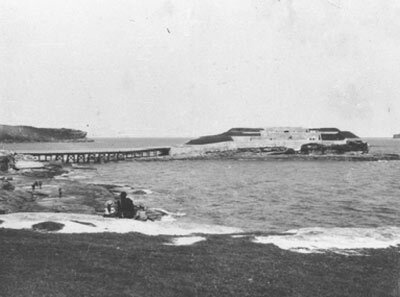 In 1988 Bare Island Historic Site was incorporated into the new Botany Bay National Park. 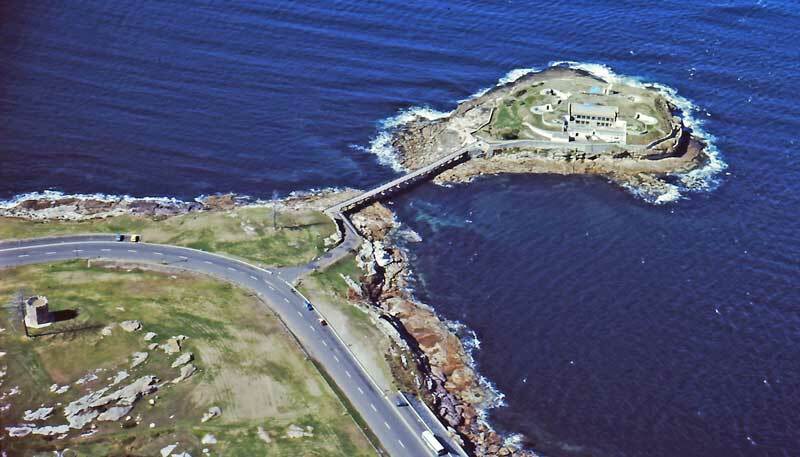 In 1992 to 1993 the island had more repairs done on the fort and barracks. More was done in 1997 to 1999. In 1999 scenes for the movie Mission Impossible were filmed on the island, bridge and mainland. The bridge was damaged by one of the stunts. In 2007 the bridge had extensive work done to repair damage. 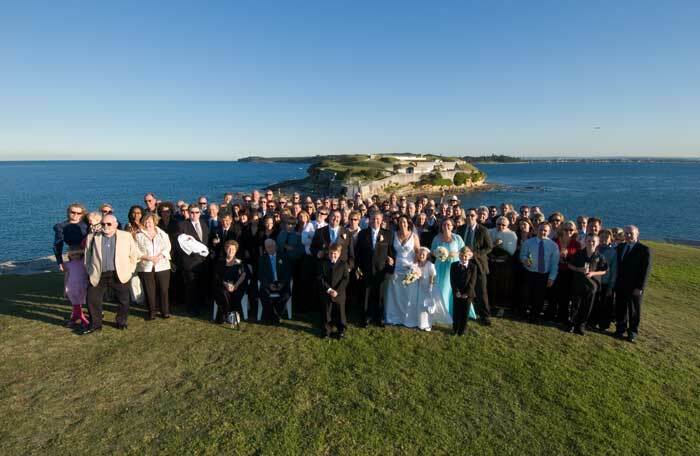 In May 2007, Kelly Jandik and I were married overlooking the bridge and Bare Island.